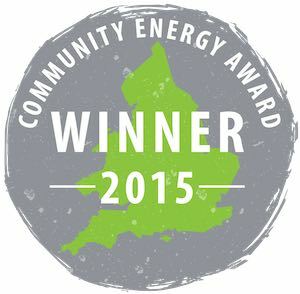 Ynni Teg, a community energy project we help to support with a 900kW turbine near Carmarthenshire, has just one the Community Energy photo award at the 2018 Communiity Energy Awards event in Bristol on 19th October. The photo features three of the board wearing their “Powered by Wind” pants, created to promote the share offer. The Ynni Teg share offer closes in two days time (31st October) and offers a 5% return on shares, so if you hurry and go to the Ynni Teg website you could become a member too.